This is definitely touching! August Pullman has been tough and all..i adore his bravery and his kindness! This book is a must read guys. 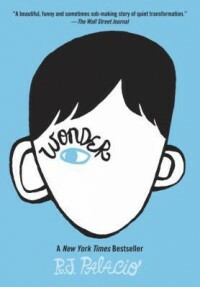 I didn't expect it to change perspectives but that didn't made the novel confusing, in fact, it made me understand the way people look and see Auggie.. I thought the author will use Mom and Dad's perspective to make me think like them, but that's okay and it's enough.. I really loved this book! Great job R.J. Palacio! Please do write another amazing book that I'll definitely read!